There's also a prequel that will be available on November 12th! I can' t wait to check out this book, AND it's prequel!! Just saw this on another blog. It sounds great and i have added it to my tbr pile. 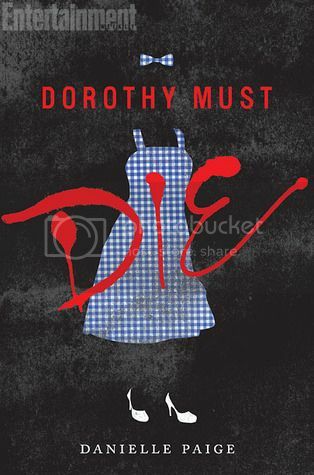 While I admit that I am not a fan of The Wizard of Oz this does look like it could be a fun book. I am sure it will be very popular especially with those who like fractured stories. Niiiice!! I just saw this book for the first time at another blog! It sounds awesome! *jumps around in excitement* THIS! THIS! THIS! I am DYING to get my hands on this. It's totally on my Most Anticipated of 2014 list. I don't like the cover, but that title... yes, please! 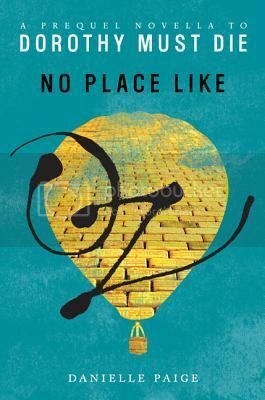 I love the Wizard of Oz. Great pick! So I've had this book added on Goodreads for a while but I didn't know it had a synopsis now! AWESOME! I hope this is really good. Thanks for stopping by! This sounds amazing! I love revamps of classics. And I'm liking the cover. OMG! I NEED THIS BOOK RIGHT NOW! Why have I never heard of it before!? That synopsis sounds so freaking amazing! Adding this to my TBR right now! Oh wow, I hadn't even heard of this!! But oh my gosh it. sounds. AWESOME! Thanks for the post! Oh wow!! Wish I had known about these before... I did a whole month on OZ in September and these would've been perfect to feature. Maybe I still will anyways! I haven't read the synopsis for this before, but this sounds awesome!! I'm definitely excited now. :) Great pick!! Sounds good. Hope you get to read it soon! Great pick! I heard about this one when the cover was revealed recently, and it sounds really great! A Wizard of Oz retelling sounds awesome. :) Thanks for stopping by my blog! Great Pick!!! I'm so going to add this book to my TBR. Thanks for stopping by and Happy reading. this book sounds like it would be awesome!!!! What a cool sounding book! The only twist on Oz I know is Gregory Maguire's Wicked and I hope this is a lighter read than that. Given that it's from Harper Teen, I expect to find it compulsively readable as that is usually my reaction to titles from that imprint.